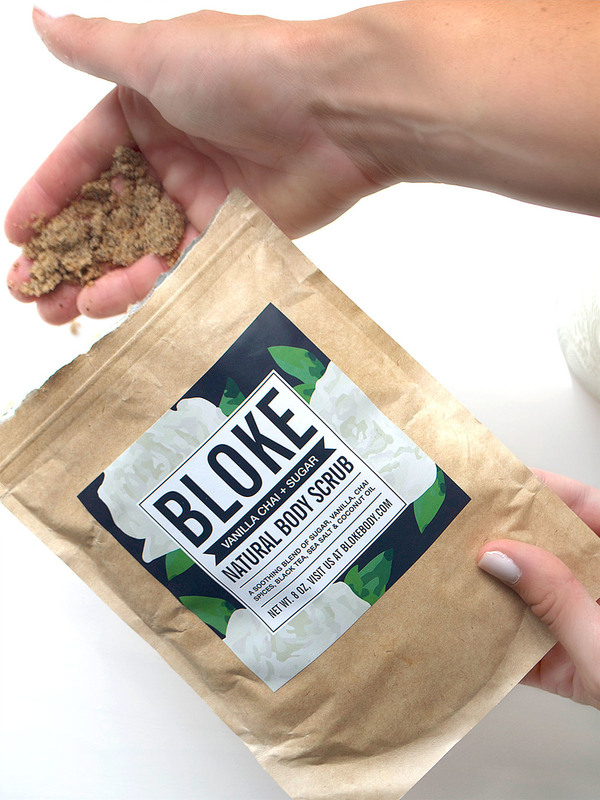 I've heard so much about Bloke Body products lately so I was super excited when I got the chance to try them out for myself and see if they really lived up to all the hype. Well I'm here to tell you that it really is as good as everyone has made it out to be! Besides the packaging that I love, the smell of the Vanilla Chai + Sugar body scrub is amazing, I wanted to eat it. It was the perfect pampering treatment to my tired pregnant body this weekend to relax in the tub after our little girl was asleep, and give my skin some good exfoliating. I loved using it on my face as well because nothing makes your skin softer or more refreshed than after a good cleansing scrub. 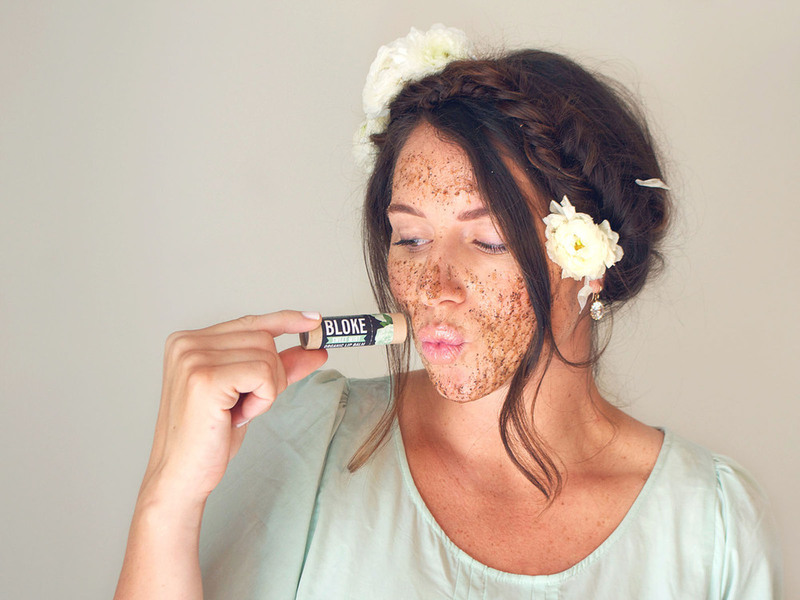 And the lip balm feels so good on your lips, it's the perfect moisturizing treatment. 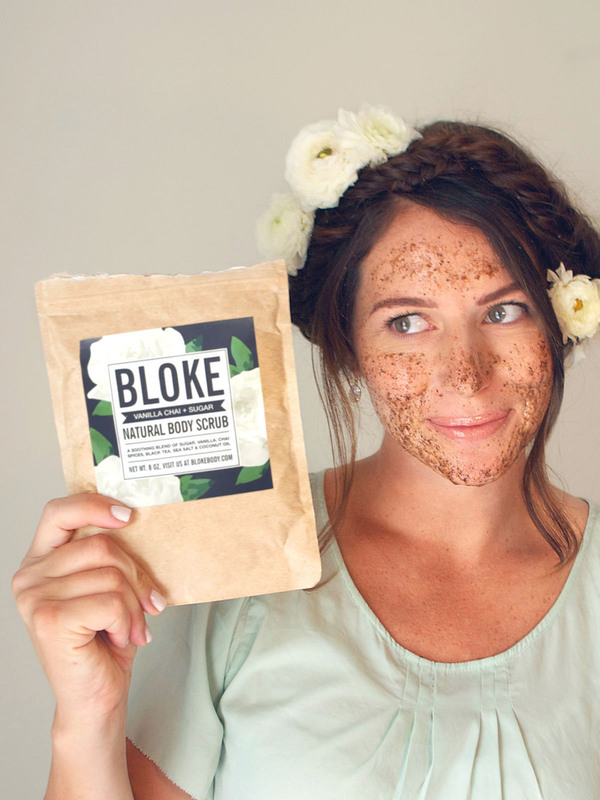 So I'm pretty excited that I get to share this goodness with one of you lucky babes now because we are having a giveaway on my Instagram for you to win this amazing Bloke Natural Body Scrub, Bloke Organic Lip Balm, and Bloke Hair Treatment - all you have to do is follow me @chelseyhale and @blokebody then like my giveaway picture and tag two friends in the comments. The winner will be announced on Wednesday 4/29. Good Luck! !